Aside from Life Day, not a lot of holidays are mentioned in the Star Wars universe. Maybe that's because the inhabitants of every other planet saw the Holiday Special and decided to keep their days of note to themselves. Probably not a bad idea. But - could you imagine Halloween in the Star Wars galaxy? 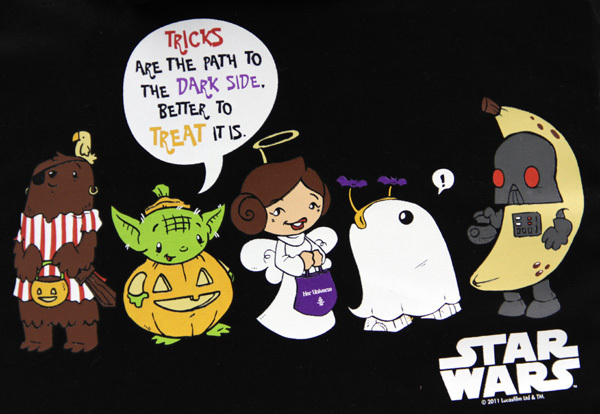 I bet trick or treating on Coruscant would be fabulous, perhaps less so on Tatooine. The residents of the upper levels of the city planet probably give out the Star Wars equivalent of a full size candy bar, but Jawas strike me as the type to hand out droid parts instead of candy. 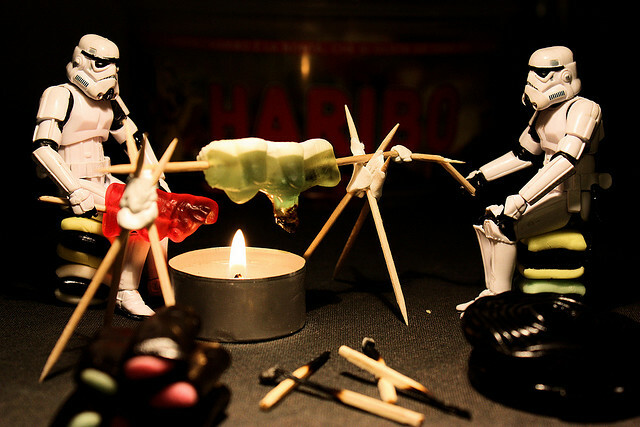 We won't even think about what the Tusken Raiders would pass out. I have a good feeling about the costumes, too. Girls across Naboo would probably dress up like the Queen and end up tying their hair in knots. If the Rebels were still on Hoth, they'd be dressing up their pet tauntauns in Ewok outfits. The tauntauns would hate it as much as dogs in our universe do. Little Wookiees would make paper mache rancor heads, and Lando would dress up like Han - oh, he already did that, didn't he? Overall, it would be a good time. I mean, you've seen the end of Return of the Jedi, the galaxy knows how to throw a shindig. They should do it for occasions other than the end of an evil empire. 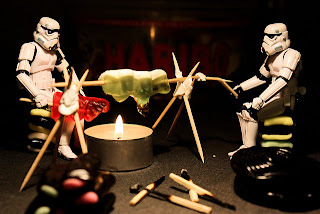 For Star Wars Halloween fun, visit the official Star Wars blog. You'll find ILM Halloween party invites, 1977 Star Wars Halloween cards, vintage costumes, and more. And last but far from least, let's not forget Star Wars pumpkins. 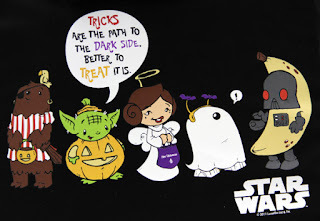 Seth used the HerUniverse/Katie Cook bag as his trick-or-treating bag. It holds A LOT! You can could definitely certainly see your enthusiasm expertise skills in the within the article work you write. The arena The world The sector hopes for more even more passionate writers like you such as you who aren't are not afraid to mention to say how they believe. Always All the time At all times go after follow your heart.